Tables, 18 Players, unlimited food and beverages. Mumbai may not have casinos, but this is closest it can come. 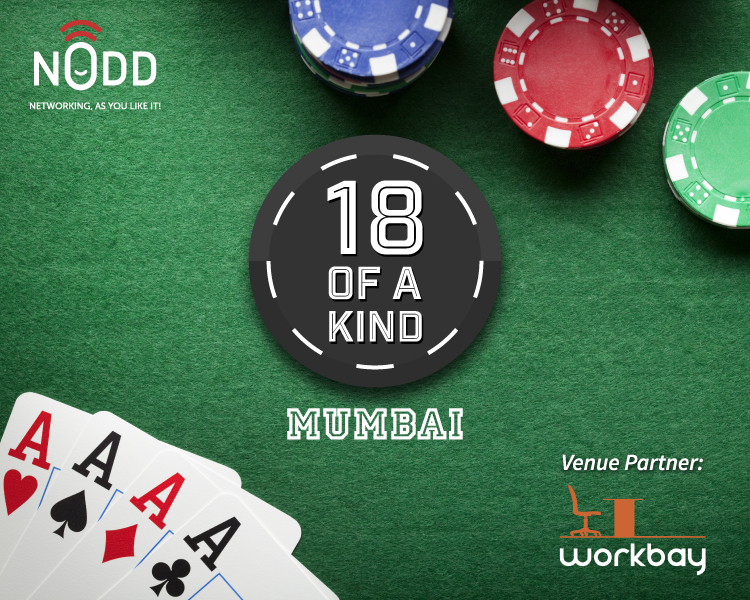 Better yet, you will be playing with a curated group of Entrepreneurs, CXOs, corporate heads and investors. Meet people from outside your social bubbles, learn how their strategies in playing cards are different from the people you usually play with. Build relationships with them, learn the latest trends, exchange ideas, share experiences and explore synergies over cards and food. Multiple buy-ins allowed.